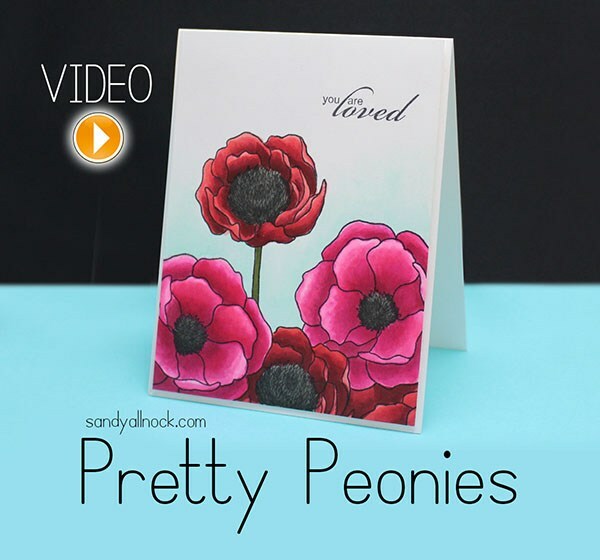 Today’s video is a floral….comparing some RV and R colors on peonies. And the card was made for a sweet friend – very happy she liked it. And now you get the lonnnnnng version video. I kept it mostly at normal speed….enjoy! If you can’t see it below, click HERE to watch it directly on YouTube. This is version #2…less blending, more veins in the petals. Seattle area – just a couple spots are available in my skin/hair class next Thursday – go sign up asap! Severn MD – three classes coming up Thanksgiving weekend, 2 Copic and a watercolor! Southern CA – January classes are nearly full in just days! Gasp! Go fast to sign up at Scrampers! …………..I’m so excited to see you coming to Maryland, again. I have been keeping my eyes open. I missed you last time you were here. I was all ready to call Queen’s Ink and reserve my space, and they are closed on Monday :(. The anticipation of waiting till tomorrow to see if it is full yet is going to make for a very long day. How many people would you need to come out for a class in Hawaii (wink, wink)? I just love watching you color! Sooooo pretty!!! Amazing! Love the coloring on both cards and that you compared some of the RV and R colors. TFS and for sharing the Bible verse. Beautiful cards!!! I just love the way they jump off the page. In reading about your classes – as much as I would love to have you in Severn, MD – because you’d be camped out at my home; the Queen’s Ink realm is in Savage, MD. I’m sorry to say I’ll miss you at Queen’s Ink on Thanksgiving weekend. I will be out of town with family, though I consider those wonderful ladies at Queen’s Ink family too!! Safe travels to Maryland! Beautiful coloring. The flowers just pop off the paper. Thanks for sharing scriptural inspiration as well. Beautiful and elegant! Thanks for the real time video – its like a mini class! Awesome! 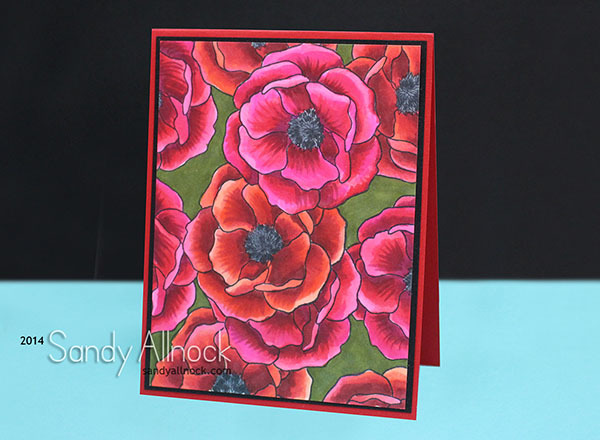 I love the beautiful blending in the first card! It is so relaxing whatching you coloring! Love both cards especially the one with the green background. any plans to come to Northern Ca for classes? Thank you for doing this video in real time! Watching your shading technique is very helpful to those of us who aren’t Copic experts, and it’s much more effective in real time rather than fast mode. You are a very good teacher and I love watching you bring images to life! Stunning. Lovely colors and design. Like how you’ve clustered the flowers at the bottom. beautiful Sandy…you do such great coloring. You are amazing.